Going to be a long line. Black bears taking up residence in Iowa? looking for new ideas for cleaning DP'S? New York to ban fur? 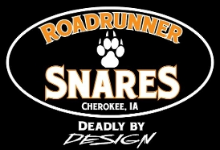 New Stop @ Dakotaline Snares!